CRFâ€™s Competition officially launched: Who is Ronaldoâ€™s Best Fan of the Year in the world? 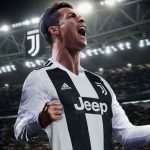 After seven months being a writer on this super site and having read over 100 comments, I, Jâ€™Lah, thought of creating the first ever Best Ronaldo Fan of the Year competition. Among the 2,000 members that we have and the 50,000 unique viewers that click on our site each month, five names come to my mind when I think of who deserves to be CRFâ€™s best fan of the year. This guy had not been writing comments often for too long on our siteâ€¦ I just noticed him in January, I think. But his enthusiasm â€“ revealed through his recent numerous comments â€“ has caught my attention, and this, in my opinion, makes him a deserved strong contender for CRFâ€™s best fan of the year. Getoar Gashi is almost an everyday commentator on this site. He simply wants to let the world know how much he thinks Cristiano Ronaldo is a living legend. When there is only one comment on a story, youâ€™ll bet it is from Getoar Gashi! Sheâ€™s such a serious contender in the nomination for CRFâ€™s best fan of the year! 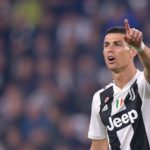 Also known as â€œRonaldoâ€™s sisterâ€ Cristiana Ronalda, Enxhi has made herself heard on several occasions both in Spanish and in English, complimenting and advising her favorite footballer and â€œbrotherâ€ Cristiano Ronaldo. What more can I say about this lady? She is simply phenomenal! Always ready to explain her thoughts in an interesting manner, which brings more life to the website. I have the feeling she is responding like she is being interviewed. Great! He has posted some lovely comments about the site. Thanks a lot for your sincere thoughts, Riky! He also opens the window to more discussion by adding a link to his name which directs us to his excellent blog called Man U Sing. These are my five favorite contenders for this yearâ€™s Cristiano Ronaldo Best Fan of the Year Award. Is there anyone who wants to make himself or herself heard as this siteâ€™s best fan? Then post your comment describing why YOU should be considered as Ronaldoâ€™s best fan in the world on our website. Donâ€™t just say it like that, explain why! So hurry, because weâ€™ll be announcing the winner on April 3, 2009! 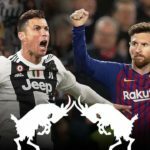 As for the rest of the viewers who donâ€™t feel special enough to be considered as Ronaldoâ€™s best fan in the world, cast your vote and say who do you think should be nominated as this yearâ€™s Best Ronaldo fan. You can send a short comment starting by â€œthe best fan isâ€¦â€ with the name of your preferred winner. Important Notice: This rule applies to all those who vote for â€œSomeone Elseâ€ in the voting poll. Remember that you will have to write a comment stating who should win. If you think that itâ€™s you, you must send a comment with your full name in it (because I’ll need it to put it on the Award Certificate in case you win), explaining why you are the best. The winner of this competition will receive an official Award Certificate from the CRF site directly mailed into his inbox which he or she may then print out and conserve as a souvenir and an achievement! The winner of this award will be portrayed as a real Superstar on our website, just like Ronaldo! He or she will have an interview directed by me through chatting. The full interview will then be published on the site for everyone to read and see how it is like to be considered as Cristiano Ronaldoâ€™s Best Fan in the whole world on our CRF Site. Donâ€™t worry too much if you come in second place in this competition! Youâ€™ll receive consolation by having an interview with me which will also be posted on the CRF Site. Make yourself heard; grab this opportunity of having the prestigious title of â€˜Cristiano Ronaldoâ€™s Fan of the Year winnerâ€™! Come on, let Jâ€™Lah understand that you are reliable members and serious Cristiano Ronaldo fans!!! All the participants at this event are determined to win. Hey you had said that you noticed me from January,hey thats when i found the site,and from then i visit the site 2-3 daily,i like commenting your posts Angela,and hear other fans opinion. J’Lah, keep up the good work. You are too much. i love everything about you…. axxxxx, ronaldo is the best of all the footballplayers and i love him very very very much!!!!!!!!!!!!!!!!!!!!!!!!!!!!!!!!!!!!!!!!!!! Ronaldo, you are the coolest thing on earth, i love you soooo muchhhhhhhhhhh!!!!!!!!!!!! ronaldo i don’t even know what to say u are just simply the best futboll player that could ever exist on the earth.your just awasome in all the sences of the word. I LOVE YOU keep up all the great job that you doing and your feet that are so fast and unbeleviable you can get thru the entire field with the ball in your legs and having 3 or 4 people in your way and you still in your feet the other one’s have allready fallen. I found your blog on google and read a few of your other posts. I just added you to my Google News Reader. Keep up the awesome work Look forward to reading more from you in the future. I think it will be also nice if you add “send to email” tool so people can forward the articles to their friends easily.